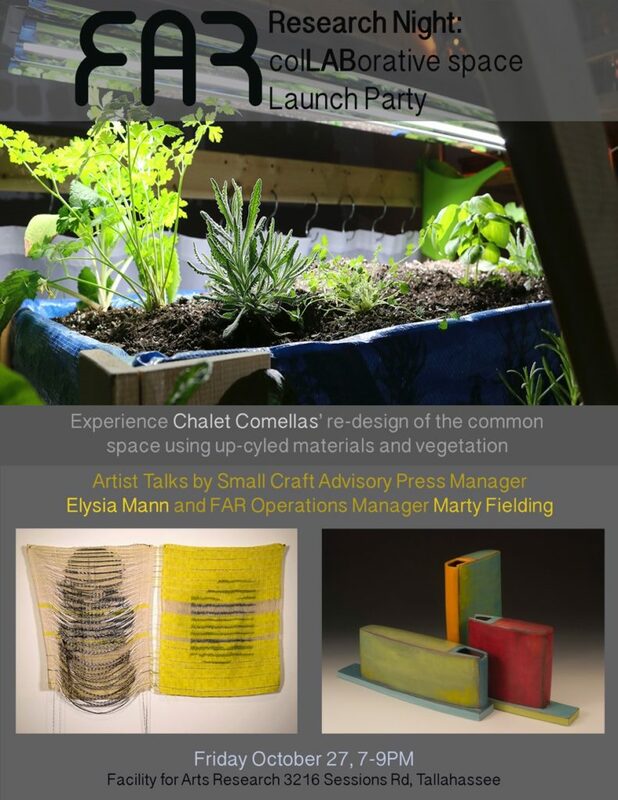 In its first public event of the school year, FAR invites you to experience their common space as it has been re-envisioned by FSU Art Professor Chalet Comellas using up-cycled materials and vegetation. The evening doubles as an introduction to our new artist/managers: Elysia Mann, Smal Craft Advisory Press Manager, and Marty Fielding, FAR Operations Manager. They will give presentations of their artwork.